After years of putting these uniforms together, we have finally decided to list them as their own item. 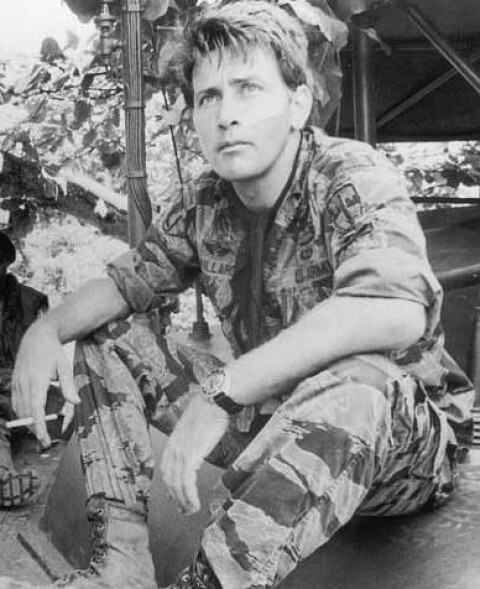 This is the classic uniform for Captain Willard from Apocalypse Now. Prepare for your trip up river! 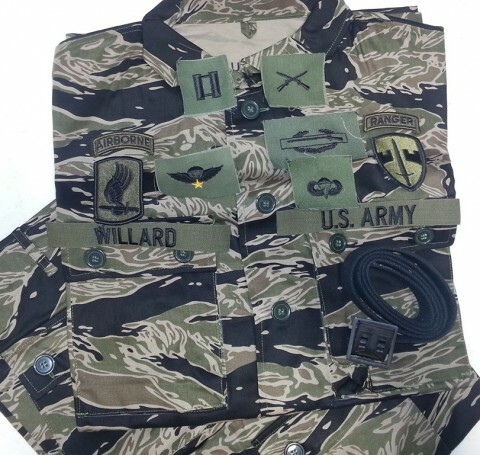 The package includes our reproduction Tadpole Sparse Tiger Stripe shirt and pants (in the classic Advisor Cut), an open buckle trouser belt and the following subdued insignia: Sew-On Captain with Infantry Branch, WILLARD and US ARMY Name Tapes, Merrowed 173rd ABN patch, Merrowed MACV, Merrowed Ranger Tab, Combat Infantry Badge, US Parachute Qualification Badge, and Vietnamese Parachute Qualification Badge. All insignia is shipped loose. Sizing Note: Please note that the measurements given are the actual measurements for the waist and chest. There is no vanity sizing. If you wear a 34 in jeans, they may actually measure a 36 so please be sure that you know your actual waist and chest size when ordering. After years of putting these uniforms together, we have finally decided to list them as their own item. This is the classic uniform for Captain Willard from Apocalypse Now. Prepare for your trip up river! 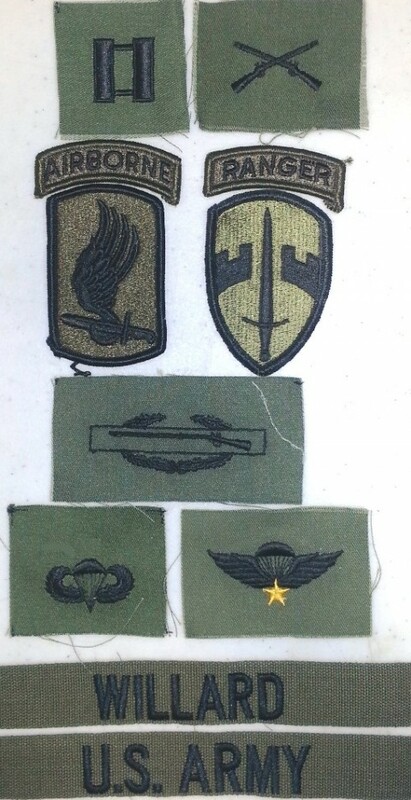 The package includes our reproduction Tadpole Sparse Tiger Stripe shirt and pants (in the classic Advisor Cut), an open buckle trouser belt and the following subdued insignia: Sew-On Captain with Infantry Branch, WILLARD and US ARMY Name Tapes, Merrowed 173rd ABN patch, Merrowed MACV, Merrowed Ranger Tab, Combat Infantry Badge, US Parachute Qualification Badge, and Vietnamese Parachute Qualification Badge. All insignia is shipped loose. Sizing Note: Please note that the measurements given are the actual measurements for the waist and chest. There is no vanity sizing. If you wear a 34 in jeans, they may actually measure a 36 so please be sure that you know your actual waist and chest size when ordering.